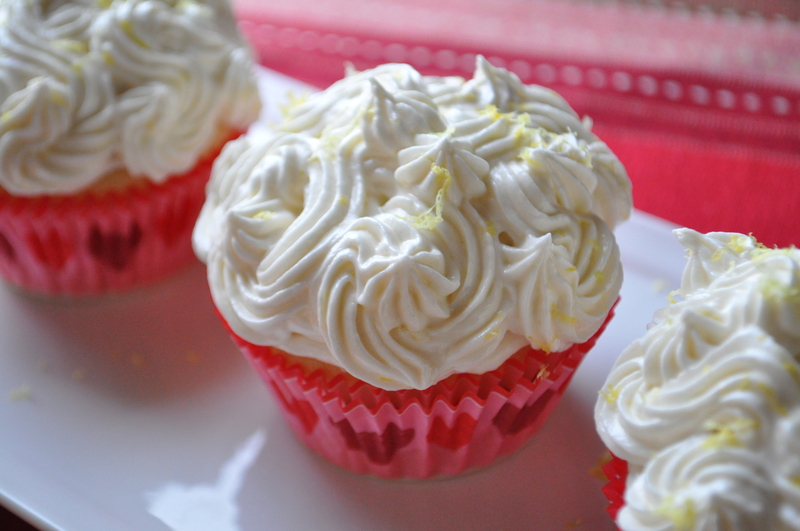 These are wonderful, light and lemony! A perfect dessert after homemade gluten-free, dairy-free chicken potpie. I didn’t take photos of the potpie because I ran out of daylight…however, I do plan to make individual potpies in the future to pop in the freezer. Stay tuned and I promise I’ll try to make them and get them posted in the next couple of weeks. Cream butter in a mixer on medium, scraping down once, until light and fluffy. With the mixer on medium, add the eggs one at a time until fully incorporated. Add the cake mix, both extracts, lemon rind, and water. Mix on low for 30 seconds, scrape down bowl. Mix on medium for 2 minutes, scraping bowl at the 1 minute mark. Line 12 (I only got 11 cupcakes out of the mix) muffin tins with paper and fill each muffin cup 3/4 of the way. Bake in pre-heated oven for 19 minutes (convection) or until the middles are just done. Remove from oven and allow to cool completely before frosting on wire rack. 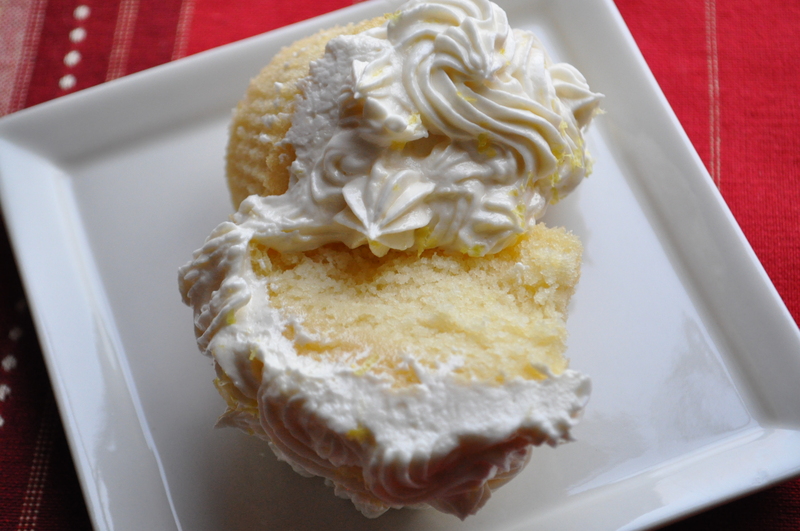 Cream butter in a mixer on medium, scraping down sides once, until light and fluffy. Turn off mixer and add the powdered sugar, sea salt, lemon rind, and both extracts. Mix until it comes together, it will be lumpy. 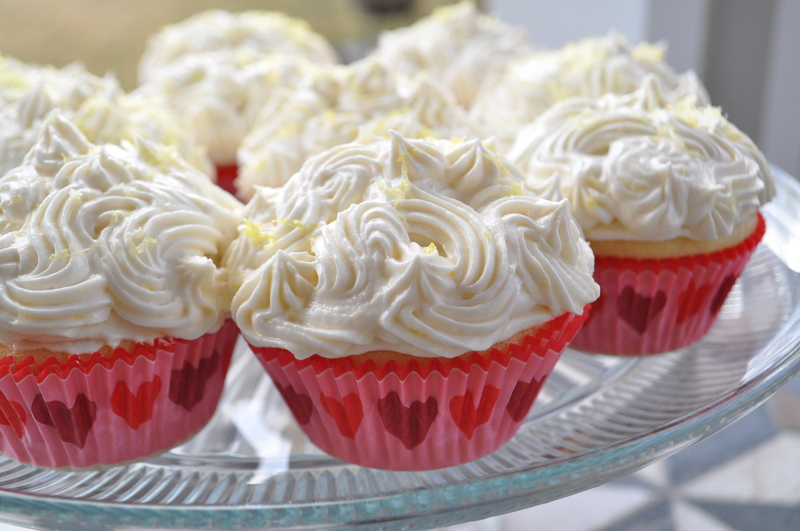 *I like to do a crumb coat (even on cupcakes), then pipe mine or spread more frosting over the top. 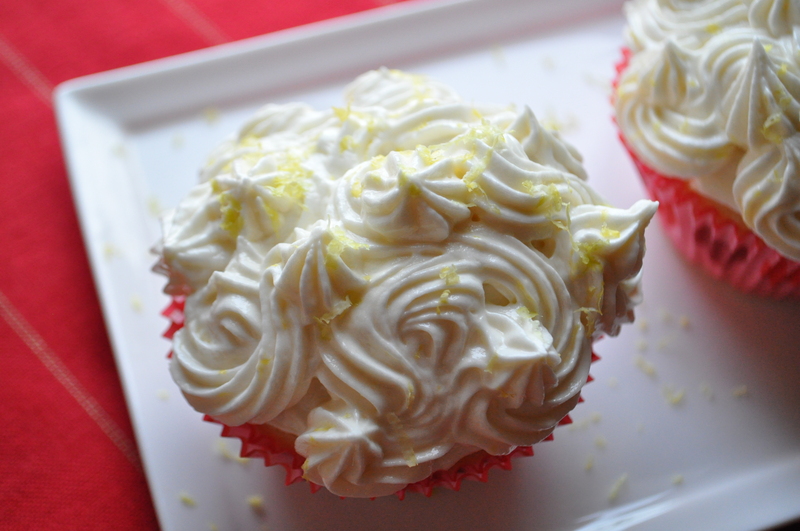 Sprinkle with lemon rind to finish. Those are some beautiful cupcakes! Love how the flecks of zest act as highlights. Well done! 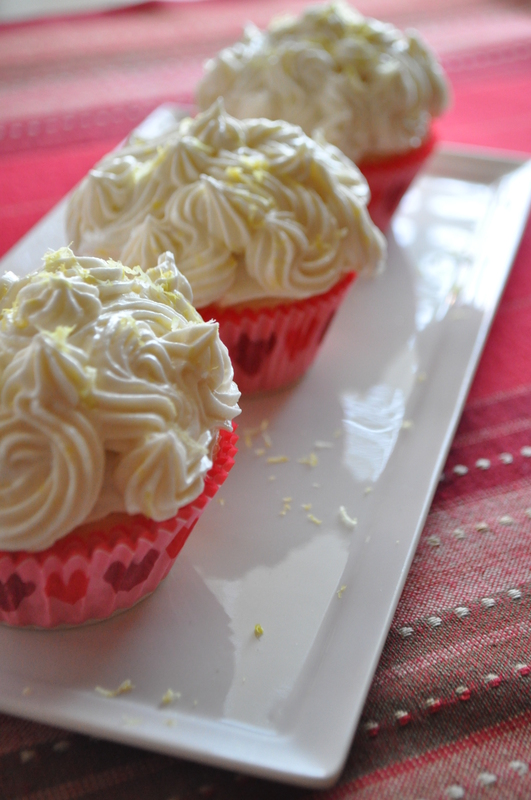 I came for the lettuce wraps… I stayed for the lemon cupcakes… My B-Day is coming up soon, and you just put dinner and desert together for me! Thanks!